Leavey was born in Guildford in 1886 but moved to Plymouth at an early age. He played for local sides Sutton, St Jude's and Woodland Villa before joining Argyle in 1907, where he soon progressed from the reserves to the chiefs. A versatile winger, he was able to play at both outside-left and outside-right, but also helped out at inside-left when required. 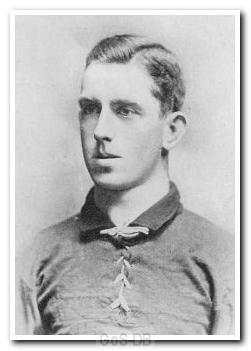 After three seasons at Home Park, with his first team opportunities limited, Leavey moved on to Liverpool in June 1910 but made just five appearances for his new club during the following campaign. In 1911 he signed for Barnsley and contributed to the side which won the FA Cup in 1912. Sadly, he suffered a broken leg in the quarter-final (third replay) victory over Bradford City and could not play any further part in the cup run. The injury restricted Leavey to just 28 appearances in his two years at Oakwell and in 1913 he moved on to Bradford Park Avenue. He went on to play for Llanelli, Portsmouth and Boscombe.